As the end of the financial year approaches, it’s time to take stock again of what the next year is likely to bring, tax-wise. Taking a proactive approach to planning is essential to ensure that you are well prepared for the year ahead. your current year and projected salary/ business and investment income. All of these factors will affect your end of income year tax strategies, as well as your tax planning for the next income year. Depending on your age, it may suit you to consider salary sacrificing greater amounts into superannuation before the end of the income year, so long as you do not exceed the concessional superannuation cap limits. personal contributions for which you claim an income tax deduction (eg self-employed people). The concessional contribution cap is $25,000 per income year generally, and $50,000 per income year for taxpayers aged 50 years old and over for the 2011 and 2012 income years. As noted below, this is set to change in respect of the 2013 income year onwards. The non-concessional contributions cap is $150,000. You should consider making additional contributions before the end of the income year to take full advantage of these caps. But make sure you do not exceed the contributions caps under any circumstances – just a few extra dollars can result in a substantial tax liability for excess super contributions tax. From 1 July 2012, persons who have been subject to excess contributions tax for the first time (due to making excess concessional contributions of less than $10,000) will be provided the option of having excess concessional contributions taken out of their superannuation fund and assessed as income at their marginal rate of tax, rather than incurring excess contributions tax at the rate of 46.5% on excess contributions. From 1 July 2012, individuals aged over 50 years of age with total superannuation balances of less than $500,000 will have their superannuation contributions cap set to $25,000 above the general concessional cap in order to assist such individuals in contributing greater amounts into superannuation to fund their retirement. The Low Income Tax Offset is a tax rebate for individuals on lower incomes. It provides individuals with a total tax liability under the threshold with an offset equal to the tax liability. As such, the offset effectively increases the tax free threshold for low income earners. The maximum amount of the offset is $1,500. Under current tax laws, people under 18 years of age (‘minors’) face the following tax scale in relation to their "unearned" i.e. passive income. On the basis of this schedule, it is currently possible to distribute $3,333 of passive income to a minor tax-free (depending on that minor’s other income sources). This is because a minor earning $3,333 would otherwise face a tax bill of $1,500 (i.e. 47% of $3,333), and the minor is entitled to an offset in respect of that entire tax liability reducing the total tax payable to nil. The government announced in the 2011-12 Budget that the low income tax offset will not be able to be used to offset tax payable by minors in respect of their unearned income from 1 July 2011 onwards. This means that this is the last income year in which minors will be able to receive $3,333 of unearned income, effectively tax-free. From the 2012 income year onwards, this number will fall to $416, after which amount penalty tax rates will apply (as set out above). there are minors in your family who receive passive income as a result of direct ownership of assets such as shares, units in managed funds, property etc. In either scenario, you will need to consider whether it would be better for you and your family to rearrange affairs in order to ensure that these penalty rates of taxation are not payable by minors in receipt of unearned income over the threshold in the 2012 income year onwards. If you have family members that you provide for, it may be worth considering whether tax-effective products such as education funds or insurance bonds may be suitable for you instead. You should seek advice from your tax adviser and financial planner in relation to whether alternative investment structures may be better suited to your circumstances in light of announced Budget changes. Due to falling rates of personal taxation in recent years, many taxpayers have ‘pre-poned’ the incurrence of capital losses. A capital loss is broadly the negative difference between what you paid for an investment and what you received when you sold that investment. Historically, by pre-poning a capital loss you could utilise it to reduce your capital gains in the earlier income year, effectively lowering the tax rate that would otherwise apply to that capital gain. However, in the 2012 income year, effective tax rates will actually increase for a segment of the taxpayer population due to the requirement to pay the flood levy. As such, you may be better off ‘crystallising’ capital losses and offsetting them against capital gains in the 2012 income year. What that means is you may be able to reduce the total taxable capital gains that fall in the 2012 income year, and therefore the effective tax rate that will be applied to those gains. But remember – if you cannot offset your capital losses against capital gains in any income year, the losses will be quarantined and carried forward until you derive capital gains. What that means is if you incur a capital loss in the 2012 income year that you cannot utilise, you won’t be able to use it to reduce your salary or business income. If you anticipate that your salary or business income is likely to increase in the next income year, it may be worth considering ways in which you can defer incurring any deductions available to you until the next financial year. Alternatively you could pre-pone any income (such as bonuses) to this income year. For example, Betty works for Simple Pty Ltd. According to Betty’s employment contract, she is entitled to receive a bonus based on performance once every calendar year. Betty can choose when she would like her bonus to be calculated and paid during the year. If Betty is liable to pay the flood levy in the 2012 income year, she may be better off asking for her bonus to be calculated and paid before 30 June 2011. Remember, it is crucial that these options are legitimately available to you and are exercised for commercial reasons other than tax. Also, the 2012 income year will likely be the last income year in which you will be required to substantiate deductions less than $500 – as re-announced during the 2011-12 Budget, the government is seeking to introduce a standard deduction of $500 for the 2013 income year. The government intends to increase the standard deduction amount to $1,000 for the 2014 income year. Speak to your tax adviser before considering the standard deduction as you may be entitled to a higher deduction. If you hold shares or are the associate of someone who holds shares in a private company, you should bear in mind that the laws were changed last year so that any assets owned by a private company (such as for example a holiday house) that are used by either the shareholders or associates of the shareholders will result in a ‘deemed dividend’ that must be included in the assessable income of the shareholder. The value of the deemed dividend is the market value of the use of or right to use the assets in question. Speak with your tax adviser for further clarification on this. The government announced during Budget 2011-12 that the availability of deductions in respect of income that is Youth Allowance or other government benefits will be legislated away for the 2012 income year onwards. However, eligible taxpayers will still be entitled to claim deductions for the current and past income years. 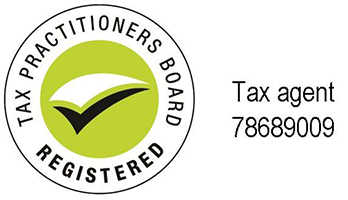 In recognition of the fact that many taxpayers will not have retained their receipts in relation to such deductions for past income years, the ATO announced earlier this year that students in receipt of Youth Allowance would be entitled to automatic $550 deductions for the 2007, 2008, 2009 and 2010 income years. Students who have an entitlement to a deduction of a greater amount and are able to substantiate the higher entitlements may file their 2011 income tax return (or an amendment to earlier income tax returns) accordingly. In late May 2011, the ATO announced that this treatment would be extended to recipients of Austudy and Abstudy. As with Youth Allowance recipients, taxpayers who have an entitlement to a deduction of a greater amount and are able to substantiate the higher requirements may file their 2011 income tax return (or an amendment to earlier income tax returns) accordingly. In addition, the ATO has acknowledged that recipients of Jobstart and Newstart allowance may also be entitled to claim certain deductions. However such taxpayers will not be entitled to the automatic $550 deduction. Ordinary substantiation requirements will typically apply. If you have been in receipt of Youth Allowance, Austudy, Abstudy, or Jobstart or Newstart allowance, you may be entitled to certain deductions against this income for the 2007 to 2011 income years. You should consult with your tax adviser to obtain further details. The ATO recently issued a taxpayer alert in relation to the claiming of holiday travel as work related or self-education expenses. Broadly, the ATO is looking at arrangements where taxpayers have undertaken domestic or overseas travel to a holiday destination and, have also undertaken educational or work related activities whilst on the trip. In such circumstances, the ATO has noted that the cost of the travel will typically only be deductible to the extent that the expenses relate to the education or work related activity. Where an expense has a dual purpose, the cost needs to be apportioned on a reasonable basis as between the deductible and non-deductible components. See your tax adviser to ascertain how much of the cost is deductible for tax purposes.